Whenever “the tone of American politics seems to be at rock bottom,” said Dan Balz in The Washington Post, “something happens to remind everyone it can go lower still.” Former Vice President Joe Biden last week claimed that if he and President Trump were still in high school, he would have taken him “behind the gym and beat the hell out of him” for disrespecting women. 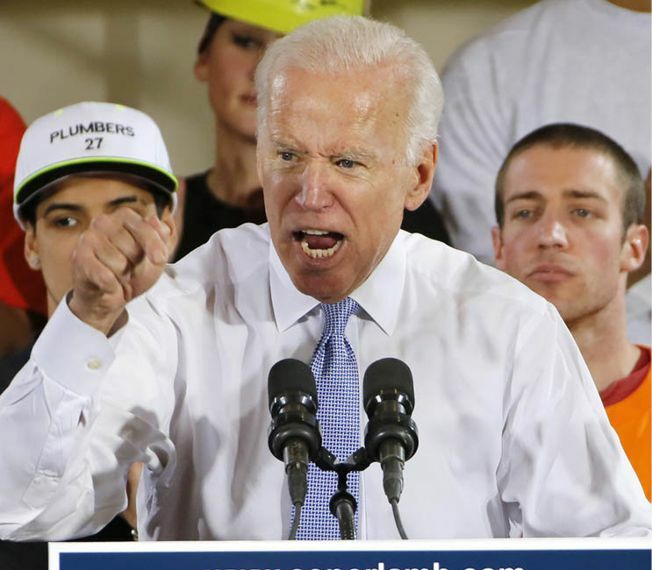 In reference to Trump’s infamous Access Hollywood comments, Biden said that “any guy that talked that way was usually the fattest, ugliest SOB in the room.” Trump, inevitably, hit back, tweeting that “Crazy Joe” was “weak,” and “would go down fast and hard, crying all the way.” It’s “embarrassing” to see these two septuagenarians “flex their John Wayne one-liners,” said Jack Holmes in Esquire.com. We’ve come to expect “toxic, performed masculinity” from Trump. But Biden, who is eyeing a 2020 presidential run, really ought to know better.